We all love a good homophones poster, don’t we! Because, let’s face it, learning how to read and right, I mean, write in English can shore be, I mean, sure be a challenge! 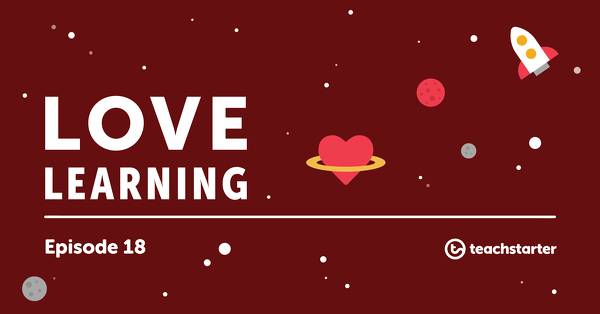 In order to help your students get their heads around some of the most common homophones in English, we have created a brand new Homophones Teaching Resource Pack. 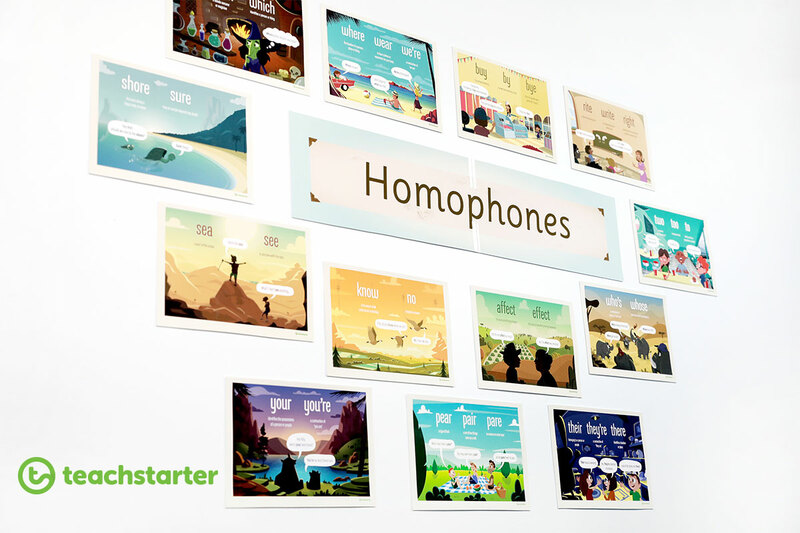 The pack contains 14 professionally illustrated homophones posters depicting situations that help make sense of each homophone set. 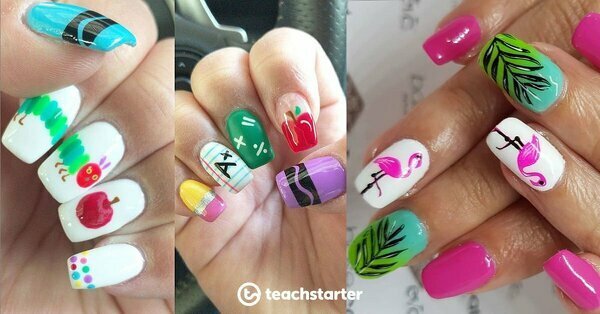 There are really so many things you can do with homophones! 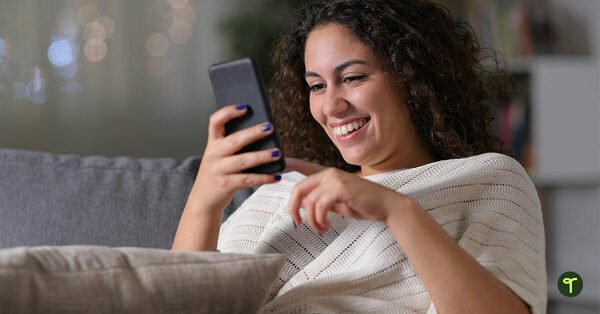 Aside from helping students learn to identify individual meanings, you can use homophones as a fun prompt for language play, writing and other literacy activities. 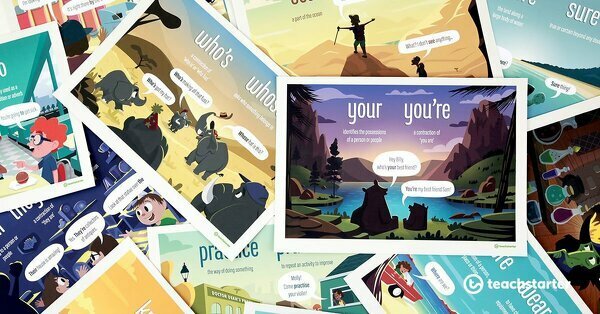 Here are three ways you could use this awesome new Homophones Posters Resource Pack in your classroom. 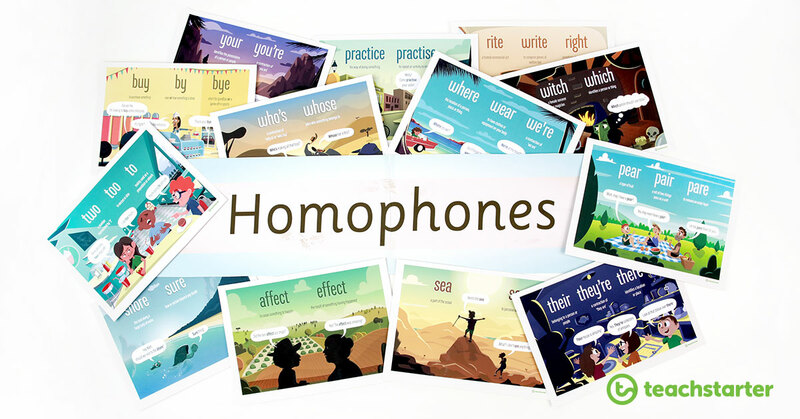 There are a few ways you could use these homophone posters in the classroom… The first and most obvious one is to create a homophones display! 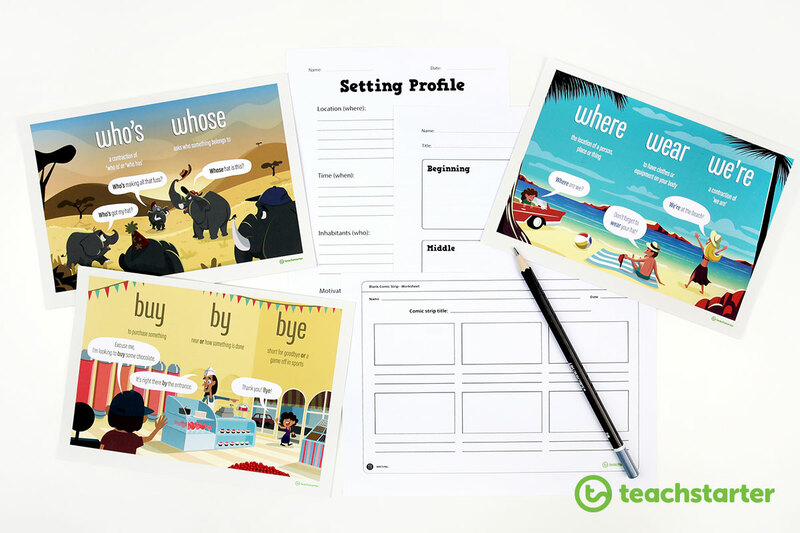 You could also print out the Homophones Reference Cards and attach them to a card ring for students to use during writing activities. 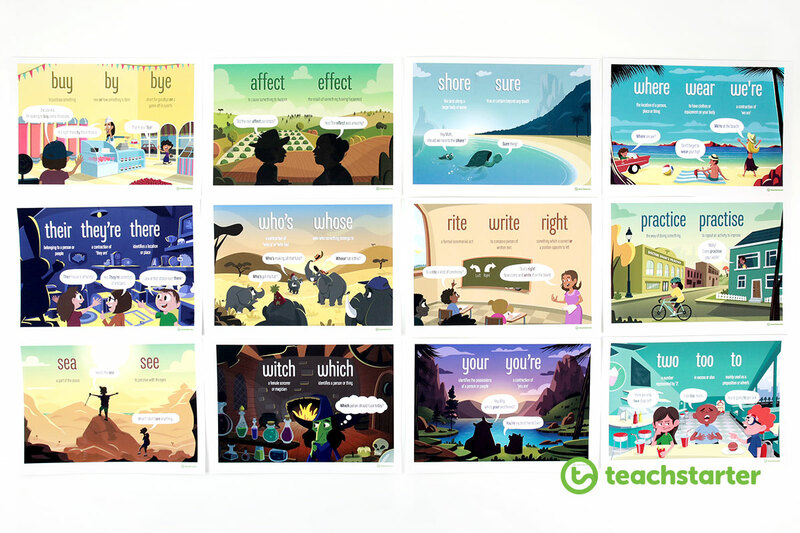 You could also use these beautiful homophones posters as a writing prompt. Not only are some wonderful elements of context introduced in the speech bubbles, but also in the illustrations too. A blank 5 W’s and 1 H graphic organiser. A blank beginning, middle and end graphic organiser. A worksheet for students to use when creating a setting for a story. There you go! 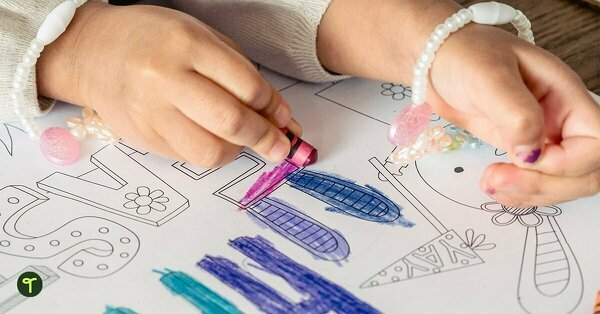 We hope some of these ideas help you to maximise all that these resources contain – not only the explanations of each set of homophones but also the illustrations as prompts for creative thinking and writing activities too! 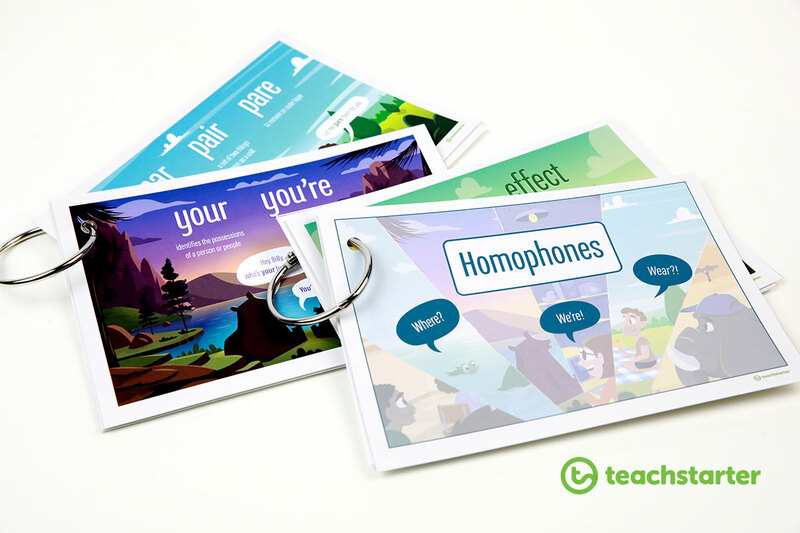 Have you downloaded the Homophones Posters Resource Pack?